As applications grow in complexity and tools become more intricate, it can be challenging to know where to begin when designing and executing performance tests. Hot on the heels of the publication of his book The Art of Application Performance Testing, second edition, Ian Molyneaux will give a high level overview of the essential elements of effective performance testing. 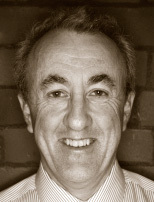 Ian Molyneaux has over 35 years of experience in IT, and over 15 years in providing performance consultancy and promoting business-driven performance testing. At Intechnica he is Head of Performance, working with clients such as Fourth Hospitality, Permanent TSB and GlaxoSmithKline. Prior to this role he held senior performance roles for software solution companies. The second edition of Ian's book "The Art of Application Performance Testing" was published by O'Reilly in the summer, and has a growing international community of followers and fans.